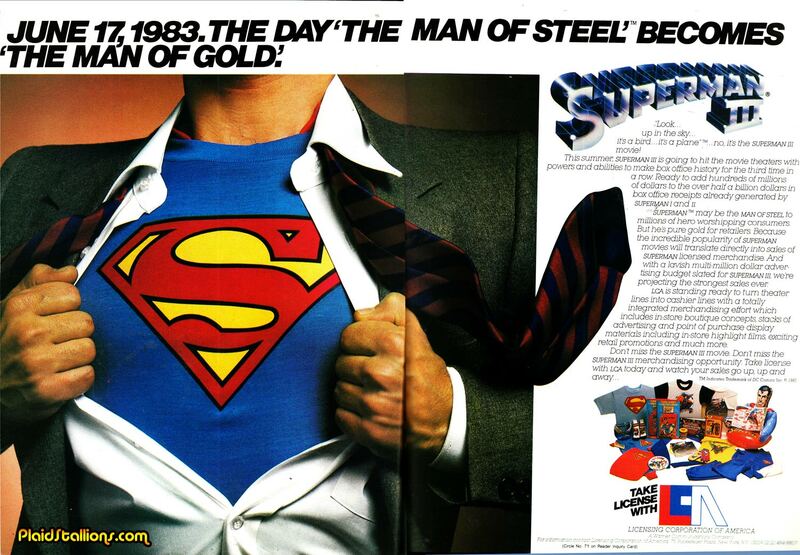 I couldn't get over the sincerity of this licensing advertisement for Superman from 1983. which states that Superman 3 will "Make box office history for the third time in a row" and "we're expecting the strongest sales ever". I remember seeing Superman 3 with my best friend, we were both 12 and I remember being really excited for a new Superman movie. The robot lady gave me awful nightmares and the popcorn had me throwing up all night. So, I don't have fond memories of Superman 3 (Unlike Trading Places, the film we saw the week prior which made men out of us, ahem) and likely didn't buy any merchandise that summer. 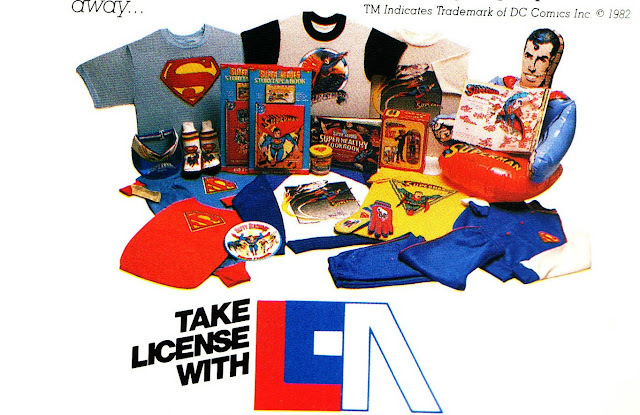 I think it's so weird to see a spread of Superman merchandise that doesn't include an action figure but with Mego going out of business that year and one year until Super Powers, this was a weird void. 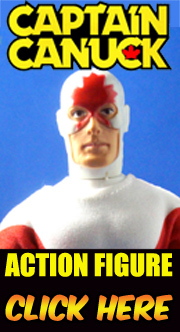 My kids have never known a world where they couldn't go to a store and see a Superman action figure in some form. That's a weird concept because i certainly remember "the dark times"
Wow. You'd think they'd have told Superman there to tuck the neck hair down in his shirt. I remember really wanting to like Superman III. By the time Superman IV came along, I didn't even give it a chance. I hear you . . . Jamie Lee Curtis . . . growl! Superman III was quite the awakening for me in the dismal superhero movie world. That scary as hell circuitry woman gave me nightmares too. I thought it couldn't possibly be worse... until number 4 came out! I remember being six in the summer of '83, and seeing Return of the Jedi and Superman III within a few weeks of each other. Obviously, Jedi left the most lasting impression on me.